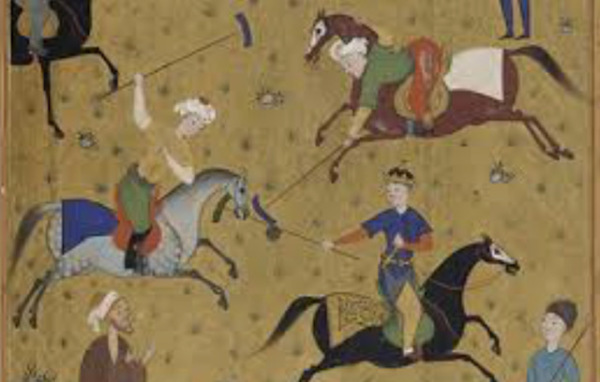 The sport of polo is steeped in antiquity first played well over 2000 years ago in Persia and Central Asia as a peacetime cavalry exercise and as such is the ultimate martial sport! It has been aptly dubbed the sport of kings and over the centuries moved to all over the world including India, Pakistan, and China. 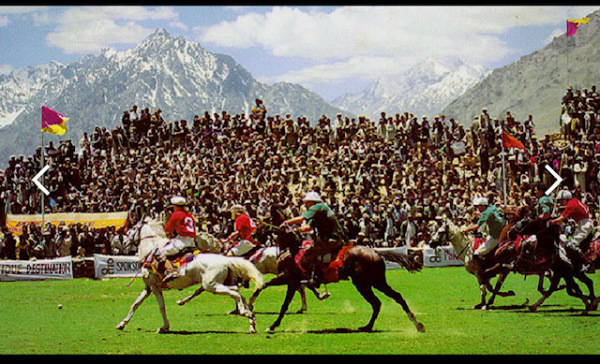 An ancient version of the sport is still played in the foothills of the Himalayas in Gilgit, at an elevation of 13,000 feet, located in Northern Pakistan. The British picked up the game from India and being totally enthralled by it they made it their own. 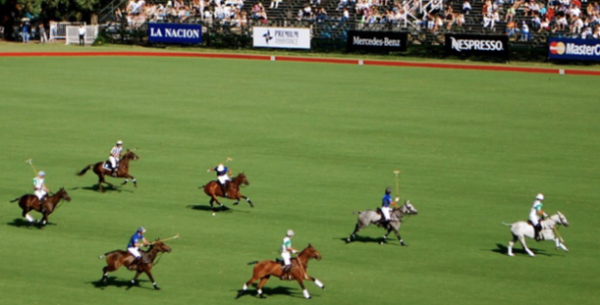 Today the game is played All over the world but the best players and horses hail from Argentina; shown above is a play from the Argentine Open being played in Buenos Aires. 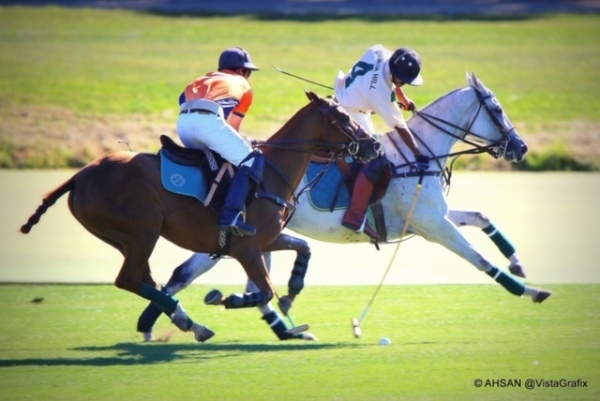 An American and an Argentine Polo Professional battle for the possession of the ball at Shannon Hill Polo Club.